As featured in Boston Magazine’s 5 Stunning Homes for Sale in the Suburbs! 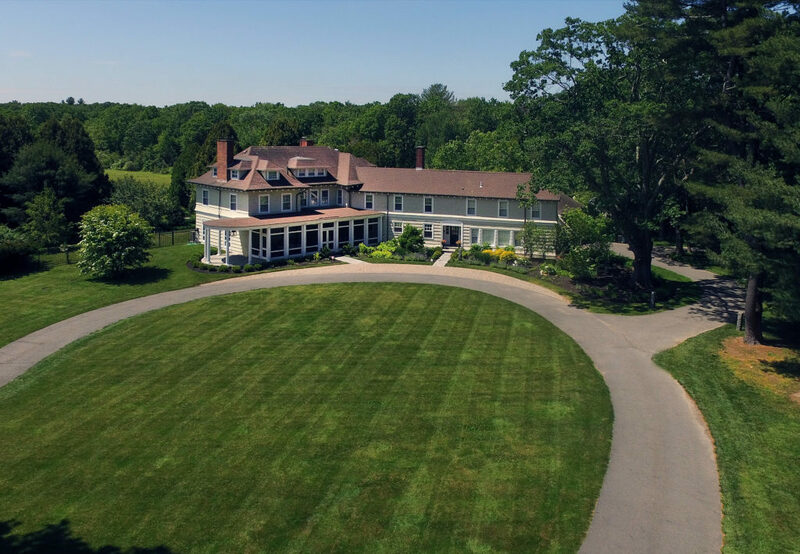 Estate setting back on over 6+ acres surrounded by conservation. Magnificent period detail throughout. High ceilings, Hardwood floors, Beautiful moldings, 7 fireplaces throughout the home, Large floor to ceiling windows, Bright rooms, Front porch welcomes you into the formal Foyer with views out to the grounds and gardens. Formal library has walls of built ins, Banquet sized dining room with built ins, Newer Gorgeous gourmet kitchen with large island and breakfast room, Butlers pantry, Family room, Back office and greenhouse that also leads to garage. Mudroom complete with cubbies and storage. Second floor offers separate guest quarters with back entrance, Master suite with walk in closet and updated classic bath, plus additional bedrooms on second floor and 3 more bedrooms with ample storage on next level. In ground pool, Room for horses, tennis, Close to everything makes this a perfect commuter location.